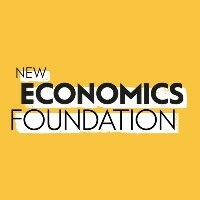 The New Economics Foundation is an independent think tank that specialises in innovative economic thinking. openDemocracy is an independent global media platform covering world affairs, ideas and culture which seeks to challenge power and encourage democratic debate. Chair of the Independent Inquiry on the Future of Civil Society. Carnegie Fellow, consutlant and non-executive. Formerly CEO of Joseph Rowntree Foundation. We’re the UK campaign for democratic reform — because politics must work for everyone.